In 1998, King County acquired the former Burlington Northern rail corridor along the east side of Lake Sammamish. The corridor would later become the missing link between Redmond and Issaquah in the County’s 44 mile trail system connecting Puget Sound in Seattle to east King County and further to the foothills of the Cascades. The 11-mile segment was split into two phases, the North Sammamish and South Sammamish segments. Construction of the North Sammamish began in 2014. In the early phases of construction, ZGA prepared construction plans and specifications for 50 mechanically stabilized earth (MSE) retaining walls totally approximately 46,000 square feet of wall face. 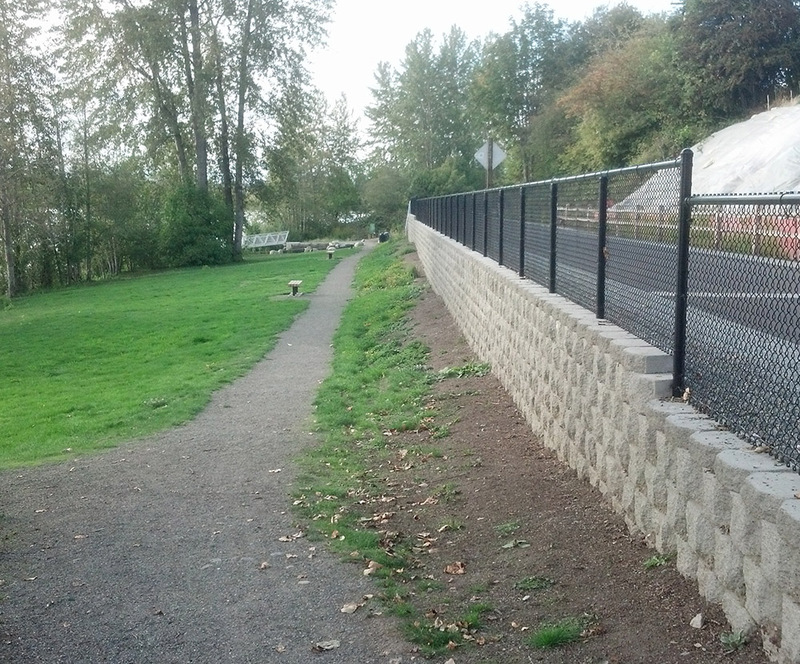 The project included complex wall geometries including back-to-back walls, intermittent stairways, and culvert penetrations. ZGA also provided services during construction including addressing requests for information (RFIs) and rapid response to field design changes.